At Huff ‘N Puff, our goal is to improve the experience of owning a home for every customer. We’ve worked with over 35,000 homeowners during the last 40 years, and built a reputation as being an honest, trustworthy company with great prices and service. We now offer additional services to guarantee that your home is safer and more secure. 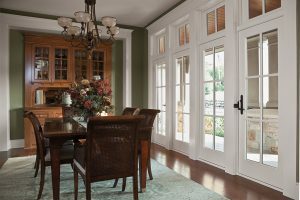 From window replacement to new doors, we can do it all. When you are choosing a company for gutters, windows and doors, you know you can rely on the one that has decades of experience working with homes in Ulster County New York. We know the area and the unique challenges homeowners face here, and we provide solutions to common problems for your home. Call us today at (855) 483-3678 to request a quote to learn more about our special offers and discounts.